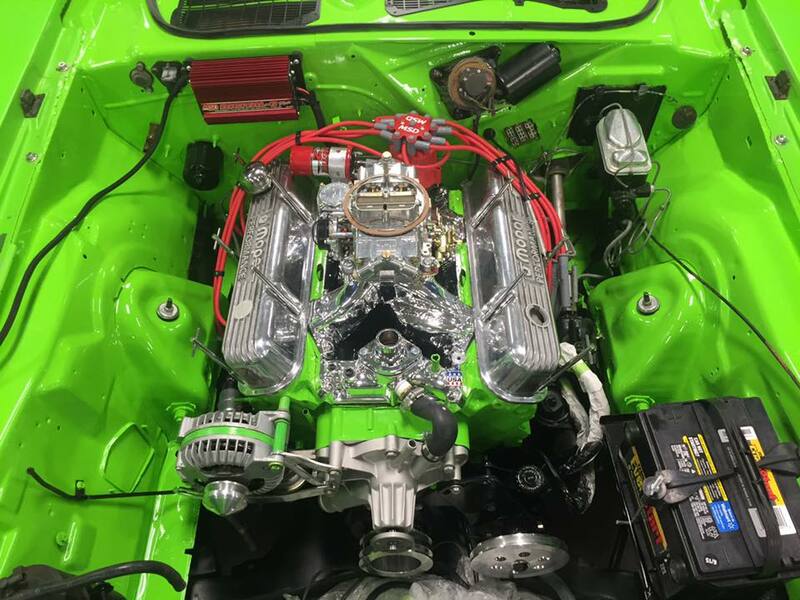 At RPM Performance, we specialize in full auto restoration of your classic, muscle or street rod vehicle to the highest standards. Don't trust your classic car restoration project to a shop that doesn't have the experience, expertise and record of accomplishment like RPM. We have a vast experience with all makes and models of muscle cars. No project is too big or small - from a complete frame-off restoration to a concours - winning paint job, the skilled staff at RPM will get the job done in a timely manner. Since each project presents its own unique set of challenges, physically analyzing your vehicle at our facility is the best approach to generating an accurate proposal. We can provide a tentative price range for your project prior to bringing your car to our shop for inspection with the completion of the form. Since each project presents its own unique set of challenges, physically analyzing your vehicle at our facility is the best approach to generating an accurate proposal. We can provide a tentative price range for your project prior to bringing your car to our shop for inspection with the completion of the above form. How many parts will be replaced? Will we have to disassemble to give a better estimate? How much time will it take to fabricate those parts which are unavailable? Every restoration project is unique and so many unknowns to give our customers an estimate of the cost to build without seeing the vehicle. We can give the customer a comprehensive detailed cost plan once the vehicle has been inspected and the unknowns are answered. A Full Auto Restoration primarily includes removing the complete chassis from the body and all the components of the car are disassembled, sandblasted, media blasted or acid dipped to restore to a better than new condition. All body panels are fitted and then the body is painted to the customers desired color to show finish. Got the engine painted, put back together, and installed in Terry's Cuda today. Matches the engine bay we painted last week. Engine bay is done! Matches car perfectly! Let's get started with your restoration project by email. Current work in progress. 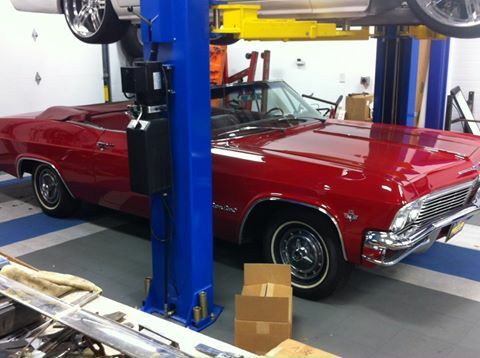 This 1965 convertible Impala with a 409 is in to have the motor pulled out and completely re-sealed to stop the leaks. 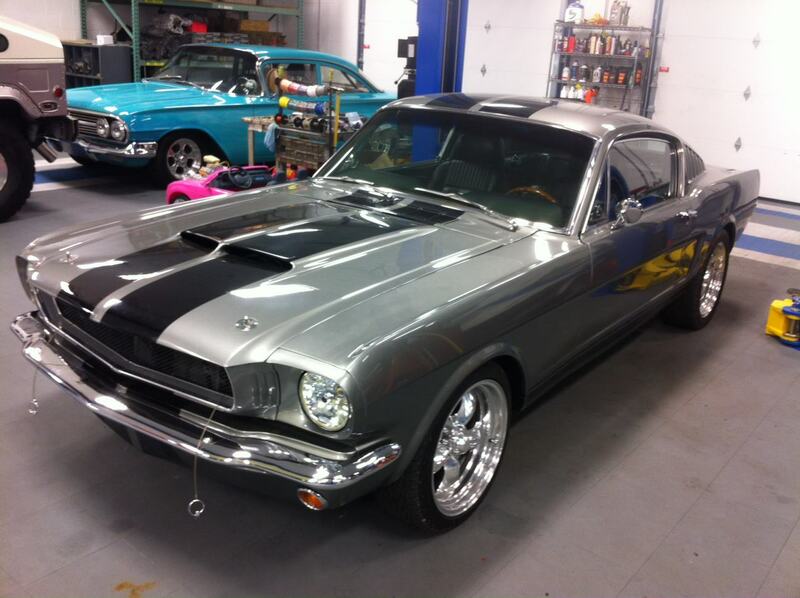 Another car currently in for work is this beautiful 1965 Mustang. This car is in for a list of work to complete.